Posted by grhomeboy in Music Life, Music Life Greek. A Cypriot musician who has reached the finals of the biggest songwriting competitions in the world has called on the island’s music industry to show more interest in the urban scene. Lyrical Eye, whose real name is Stefan Eliades, started performing at venues around Cyprus at the age of 16. With live performances on national television and radio play on major stations in the UK and Cyprus, he has tirelessly continued his work. The 24-year-old has given performances at the biggest venues around Cyprus, from urban hip-hop clubs to Universities to New Year’s Eve national celebrations in the heart of the capital in front of thousands. He entered the 2006-2007 Great American Song Contest with a song called ‘Bounce’, featuring Kyri, which he wrote and described as, “a club and R&B track”. ‘Bounce’ came first out of a total of 7,000 entries in the hip-hop/R&B category for this contest. His success continued soon afterwards at the International Songwriting Competition, which is considered the biggest competition of its kind in the world, featuring judges including the presidents of most major labels such as Sony, EMI, Violator, Universal and guest judges such as Run DMC, Sean Paul and Macy Gray. This time, ‘Bounce’ made it to the final 15 out of an original entry of 15,000 songs, with the judges saying they liked the song’s attitude and the way that it was easy to dance to. In the latest edition of the competition this year, Lyrical Eye was at it again with a new song called ‘Want It’, which has also made it to the final 15. After many years of hard work trying to get his name out, the artist got his first big opportunity to represent at the biggest hip-hop festival in Europe during the summer of 2006 called the Hip Hop Kemp, attended by over 20,000 people. He also performed a 45-minute showcase of his work last year at the world-renowned Popkomm Festival in Berlin. Posted by grhomeboy in Music Life, Music Life Greek, Music Life Live Gigs. Posted by grhomeboy in Hellenic Athens Festival, Music Life, Music Life Greek, Music Life Live Gigs. 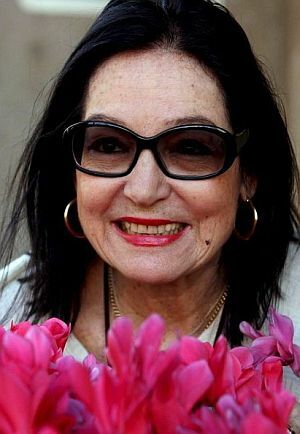 Nana Mouskouri is currently in Barcelona, where she will appear live on 14 March, during her farewell tour. Music fans will be able to enjoy Nana Mouskouri’s last concert in Athens, Greece. Eternally popular vocalist Nana Mouskouri will round off her career on July 23 at the Herod Atticus Theater, in Athens, Greece. Kalomoira’s upbeat song ‘My Secret Combination’ came first in the competition for the Greek song to represent Greece. The title of the invitation that attracted a huge crowd of people who believe in the Eurovision Song Contest and are involved in the institution to the Athinon Arena club on Pireos Avenue, was «A song to vote for.» The 53rd in the series, this year’s contest will take place in Belgrade in May. State radio and TV company ERT organized a huge music party to choose the song that is to represent Greece. The three frontrunners were presented by singers Chryspa, Kalomoira and Costas Martakis. All three songs are dance numbers on the subject of love. Chryspa sang «A Chance to Love» accompanied by male dancers; Kalomoira sang «My Secret Combination» while male dancers took off their T-shirts and waved them around, and Martakis, all in white, sang «Always and Forever» with female dancers doing a number that ended with the singer on a throne like a Greek god. The public vote, by text message and phone calls, accounted for 60 percent of the result, with the remaining 40 percent decided by the jury, comprising ERT executives headed by composer Mimis Plessas. All three songs appealed, but the young fans of coquettish Kalomoira secured her the first place and a ticket to Belgrade. It was a stunning spectacle, the presenters Betty and Matilda Maggira were excellent, and the organization was impeccable. The host, ERT President Christos Panagopoulos, was present. To be continued in Belgrade. It was a big moment in her embryonic career. The calypso legend loved Nana’s voice but when it came to her choice of eyewear he was unequivocal, insisting she ditch the black horn-rimmed specs on stage. According to the fairytale legend that is her life story, Nana acceded to his demands but grew deeply unhappy. After two days of sadness it was her turn to deliver the ultimatum to Belafonte, love me, love my glasses. The glasses stayed. 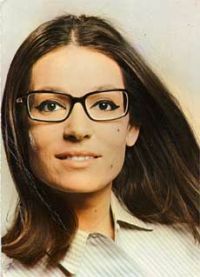 Forty years on, 450 albums, 230 gold and platinum discs and more than 300 million records sold later, Nana Mouskouri took to the stage of St David’s Hall in Cardiff last week still sporting those famous spectacles to begin the first British night of her epic farewell tour. She will perform before sell-out crowds in Gateshead, London, Manchester, Glasgow and Birmingham before decamping to Saarbrucken in Germany where the world first took notice of the commercial potential of the young Greek singer with the nightingale voice. It was there that her German language version of “White Rose from Athens” sold more than a million copies. The Nana musical juggernaut has already rolled across the US, North America and Ireland this year before going to Britain. After touring mainland Europe, she will then head to Australia, Asia and South America in 2008 where her loyal army of fans are waiting to bid their ageless heroine with the jet black hair and trademark centre parting, a tearful adieu. It is not bad going for a woman who turned 73 two weeks ago. Though still clearly in rude good health and at the top of her game Mouskouri insists that, after singing for 50 years, it is time to make way for younger performers. There can be little doubt that few singers coming through today in this increasingly fickle world can expect to emulate the kind of musical longevity she has enjoyed. Nor in this fast-moving digital age, where pop stars must reinvent themselves every few months to stay in touch, can they hope to do so by sticking so closely to the geeky image and basic musical formula that have proved so incredibly popular for Mouskouri over the decades. Nana was born into a close-knit family in Chania, Crete, moving to Athens at the age of three. The city was occupied by the Nazis for much of her childhood yet her father, a film projectionist, and her mother who taught her the native folk songs, worked hard to get her and her sister into the Hellenic Conservatoire. She recalls how, by night, her dad used to slip away to fight with the Greek resistance against the German invaders. Times were tough as well as dangerous and despite the money running out she continued to have lessons though her teacher’s desire for her to be the next Maria Callas could not survive her nights at the city’s Zaki club where she learned how to sing like her new heroines Ella Fitzgerald and Billie Holiday. Her route to fame was the Greek National song contest and Mouskouri was later to be something of the patron saint of the later Eurovision movement, first representing Luxembourg because her native land did not have television. She eventually made an emotional performance when the contest was finally held in Greece for the first time in 2006. Marriage came along in 1961 and her fame spread to France and Germany before her first trip to New York with legendary impresario Quincy Jones. British audiences had to wait until 1968 when she made her first television appearances on Nana and Guests. At that time, however, the record shops were woefully unprepared and had to desperately seek out some of her records to satisfy the demands of her fans. Yet the Nana story had another twist yet. In 1993 she was appointed as a Unicef Goodwill Ambassador, undertaking a mission to visit children in Bosnia. The following year she was elected as a Member of the European Parliament, representing the right wing Greek New Democracy party. She claims not to have liked politics, “it dries your heart” she once said, though despite being heckled by her fellow Eurocrats for her apparent guilelessnes, she proved an effective communicator, even joining forces with her old Eurovision sparring partner Dana when she ran for the Irish Presidency. In 1998, Mouskouri came back to the UK, that time seeking the return of the Parthenon Marbles and campaigned across the world for women’s rights. She served only one term as an MEP, returning to her Unicef work and making music. Having divorced her husband in the mid-70s, she lives with her partner Andre Chapelle and plans to dedicate the rest of her life to her family and her humanitarian work. While still wearing those glasses, of course. The Athens-based musical pair, relatively obscure here but active and popular on the world music circuit, have released their fourth album together, ‘Taxidoscopio’ or Travelscope, whose material is based on their travels abroad. Their internet connection at home was tuned into an Iranian radio station. When they’re not traveling to play at music festivals abroad, Kristi Stasinopoulou and Stathis Kalyviotis travel at home via the internet, listening to music from various parts of the world. Being on the move seems to run in their veins as this restless musical pair seeks inspiration from the remotest of places. Their work, creative fusion that blends styles such as rock and folk of various descents, is cosmopolitan and experimental. The pair’s work, clear of rigid intent, is based on spontaneous creativity stemming from the conditions at the time of its writing and recording. For their first album together, 1997’s “Yfantokosmos” Stasinopoulou, this fruitful collaboration’s singer and lyricist, and Kalyviotis, the songwriter, rendered a rock-folk sound. “Ychotropia” its follow-up released two years later, drew elements of electronica into the overall sound. “Secrets of the Rocks” released in 2002, went more the way of Western-type balladry. Now the duo’s latest album, this year’s “Taxidoscopio” is literally what the title suggests, a diary of journeys turned into songs. Locations that became songs for “Taxidoscopio” include Barcelona, Jaffa, Dusseldorf, Yerevan and the Greek Cycladic island of Sikinos. Written mostly on the road, backstage, in hotel rooms, airports, buses, under the sun, and in the rain, the material is certainly nomadic. Electric guitars meet with tradition, both Greek and foreign. “The idea for this album came just after we returned from Brazil, where we did a small tour,” said Stasinopoulou. “We had other material here at home, songs that were ready and waiting for another album which we’d been working on for a couple of years. But when we got back from Brazil, our listening habits and moods had changed. We listened to the older songs and didn’t like them. Then we’d try and carry on developing them and it just wasn’t working. We were in a different state of mind. So that’s how we began making ‘Taxidoscopio’. The things described in the songs are totally realistic,” she continued. If asked to name the Greek female contemporary singer that’s best known abroad, at least in the field covering the mix of modern with traditional sound, “world” or “ethnic” as the domain is widely known, one would have to say Stasinopoulou. Along with Kalyviotis, both in music and life, the pair regularly feature at major international festivals around the world and their albums have proven to be bright achievers on European charts covering the circuit. “Taxidoscopio”, which was self-released by the pair, an entirely handmade production from beginning to end, has received distribution in Spain, Portugal and Germany. Reviews so far have been extremely favorable. The Spanish newspaper El Pais published a very flattering review; the well-informed trade magazine Folk Roots featured “Taxidoscopio” among the field’s top 10 albums; and, moreover, it reached No 7 on World Music Charts Europe, determined by votes from radio producers throughout the continent. Considering their extensive travels, the pair can comment on how much, or how little, music of the world reaches locals. “Taxidoscopio” is available at www.krististasinopoulou.com, where information on performances in Greece and abroad is provided.